Linas Paulauskis (b. 1969) is a graduate in music theory at the Lithuanian Academy of Music and Theatre (1992). 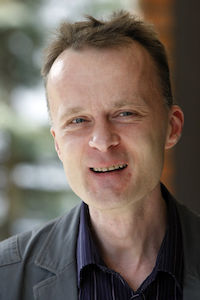 In 1994-2000 he was editor-in-chief of the cultural weekly ‘Siaures Atenai’, in 2003-2009 member of the folk-electronic band ‘Sutartines Party’, in 2007-2014 director of the Lithuanian Music Information Centre. He has appeared in music festivals in Lithuania, Germany, Austria, UK, Estonia and Poland. Linas Paulauskis’s visit is part of an exchange project between the Lithuanian Composers Union and MoKS. He will continue his series of field-recording based electroacoustic miniatures conceived in the DAR Residency in Druskininkai, Lithuania, in June 2016 (the first part of the exchange project), this time concentrating on sounds, moods and genius loci of the unique location of Mooste.